3 kinds of outlet, provide rain spray mode, spray mode, pressurization mode, use silica gel + metal pressurized hole, removable, easy to clean. Unique independent pressurized effluent can provide strong scouring, cleaning, and can be used to clean the face or mouth without tingling. Universal interface, easy to install, using international 4 sub-interface, 1 minute without tools, you can install and complete. 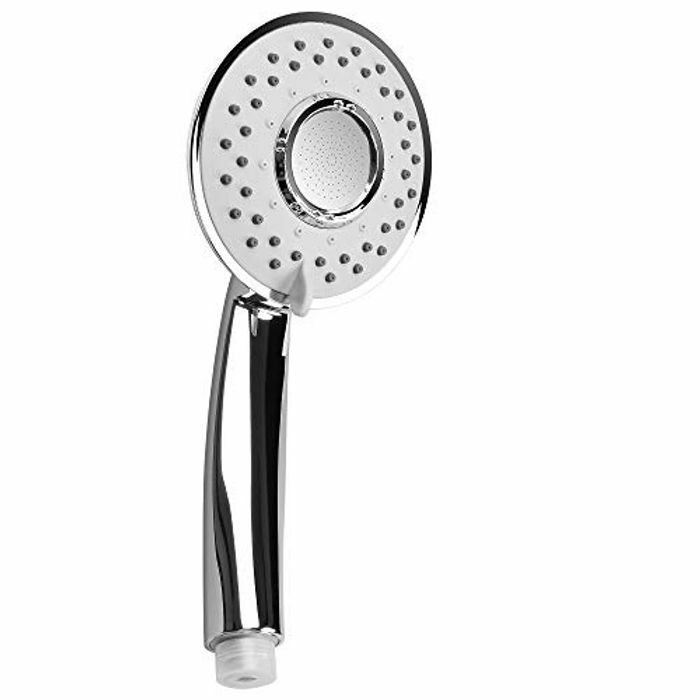 Appearance after a new design, more in line with the beauty of the bathroom, pure copper shower tap valve, strong sealing, will not leak. After several quality tests before leaving the factory, ABS material is used, and the surface is treated by multi-layer electroplating process. It is recommended that the temperature be 0-60 degrees Celsius. great looking and a good deal too,thanks for sharing this deal!